Have you been thinking about weight loss surgery and are unsure whether the results last long enough? Maybe you have come across someone who may have had weight loss surgery who had lost weight earlier and have now regained most, if not all, of the weight they had lost. Bariatric surgery … is effective at promoting long-term weight loss among obese patients. However, 16 to 30% (depending on surgery type) of weight loss surgery patients regained their weight over the next five to seven years. 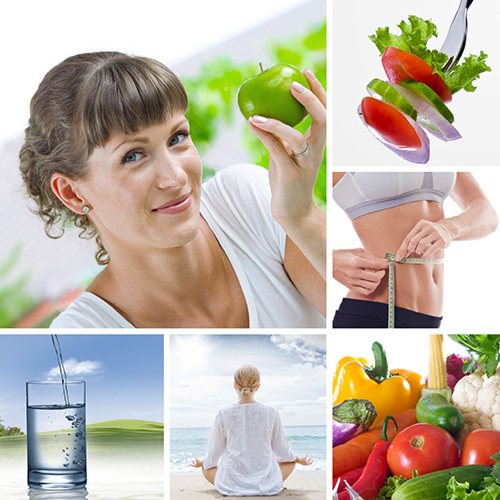 Almost 1 in 3 people will end up regaining the lost weight after weight loss surgery – sounds very disenchanting, right? Anyone who relies on surgery exclusively without doing their part in the overall journey to their healthy weight is doomed for failure. And I know that anyone who is researching weight loss surgery gets this. But, here is the big but, no one tells you what is it that you need to do when it comes to doing your part in getting long term success after surgery. Yes, I know you get told, “Do exercise, eat healthy and follow up with your dietitian” but that’s where most of it ends. This is where we start to fall into the “comfort trap” and slowly but surely start falling back to old habits which lead ultimately to the same or perhaps even more weight than where we started from. Over the course of last two decades, in mainstream medicine and practising surgery, I have seen how some people have amazing success while others who have the same procedure will suffer in pain with blame and criticism, in the short term and long term. Hardly a result that they are pleased with. Whatever you are experiencing in your physical reality is a reflection of your inner world. If it is a state of health, prosperity and abundance that you experience on the outside, then your inner world would be in a matching state. If your outer state is that of ill health, poverty and blame, there will be a mirror reflection in your inner state. This is really the level at which transformation begins. I mentioned to you all this because I have realised that a person can come to see a weight loss surgeon for surgery as a quick-fix. This is never a good strategy for success! What I have come up with is the 8-Step Program that, if applied in the manner it is designed, allows anyone who is contemplating weight loss surgery, to practically guarantee their long-term success. I say this with confidence because I have seen it over and over again. The first step is about taking 100% responsibility of where you are today. We go deeper into this subject and suggest practical strategies on how we get over the blame game and come up with radical solutions that give you clarity. Morning time has truly been called the “Golden Hour of Power”. This step gives you the fundamentals of setting up a morning routine that can jump start you into the day in a peak physical, mental and emotional state. A workbook and resources complement this step. What if I told you that it is your stress that is making you fat? Crazy idea, isn’t it? However, science is proving that highly stressed states cause us to engage in mindless eating which leads to weight gain. This step deals with a strategy and how it can be applied effectively to manage your stress better. A complementary audio meditation provides a great resource to begin this exercise. Lots of people have mixed, unclear information about this specific step. We dive deeper into what kind of exercise and how much of it. Also, we need to understand the association between exercise, breathing and metabolism. YouTube video resource complements this step. We all know the relevance of drinking water. But what about the relevance of drinking water and weight loss? This module provides validated science behind how much, when and what kind of water is most suitable after weight loss surgery. Yes, we have all been told, “You will only eat like a bird after weight loss surgery”. Is this really true? Do we take more proteins or just focus on healthy fats? And what about eating often or eating only twice a day? Doing research on these questions can be very confusing. Moreover, rigid dietary patterns can be very hard to sustain. I dispel the myths around several recommendations and provide you with basic fundamentals that will allow you to bring variety, cut back monotony and provide you with a balanced nutritious diet that helps reset your metabolism. We also delve into what major food categories we need to cut out as they are hurting us every day. Getting your gut in optimal health forms the basis of achieving lasting health. We examine the signs of healthy gut microbiota, a fancy word for the bugs that live in our gut and call it home. We talk about specific simple yet practical strategies that you could apply to get your gut health in order. Many underestimate the power of good quality and quantity of sleep when it comes to weight loss. This step explores the science behind it all and provides practical strategies of what will allow you to start sleeping better. 1. You wish to maximise your chances of long-term success. 2. You wish to be a part of the team that is committed to your long term success. 3. You desire to make lasting changes not only in your physical health but also in your mindset. 4. You really want to make an impact on people around you by leading life of peak physical and mental health by example. BONUS 1. 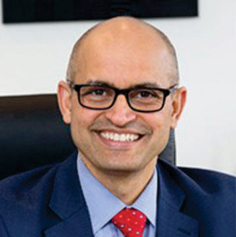 Dr Arun’s best selling book “Happy Gut, Healthy Weight” as a downloadable copy will be sent straight into your inbox. Discover how a happy gut holds the key to achieving and maintaining your healthy weight. BONUS 2. Two 30 minute one-on-one Strategy Sessions via Skype or phone calls with Dr Arun himself, on specific challenges that you are facing around your weight loss journey. We will develop a strategy that is specific to you. BONUS 3. Your invitation to our Private Facebook Community where you get to share your concerns with our Closed Group. Get answers and feedback from experts and professionals who are experienced in their field of expertise, rather than rely on advice from unqualified sources. BONUS 4. Access to our Monthly Webinar where we have organised an amazing line-up of real-life patients, who have gone through this program, along with invited experts, who will share advice and information with members and attendees. BONUS 5. Ongoing support with our experienced dietitians via once a month teleconference calls. Note, this special discount is for a limited time only! 8 Video Lessons – one video each week for two months, directly into your email inbox. Yes, I want Super Success! How do you know we are the experts with a proven track record? Why not check out our overwhelming positive and totally unsolicited feedback from delighted patients. Grab Your 10 Points Checklist NOW! 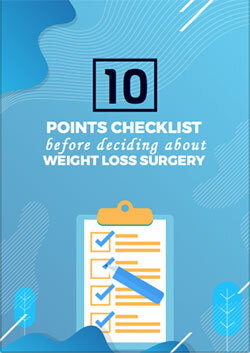 Join our mailing list to download your FREE 10 Points checklist before deciding about weight loss surgery. You will also receive the latest news and updates from our team.